Picking a winner for the 2014 British Open Championship is an exercise in deciphering the actual probabilities of victory from the preferences of the betting public. There is considerable money to be made betting against the current John Q trend lines. Consider, U.S. Open Champion Martin Kaymer is at 20:1 in early action with Tiger Woods leaping ahead of him at 16:1. Are you kidding? Kaymer is in awesome form, has his head screwed on right, and is a multiple recent major winner. The smart money is on him and Adam Scott. Tiger looks about as well oiled as the 38-year old Huffy sitting in my garage with the chain off. The stiffness and restricted back swing on display at the recent Quicken Loans National should have Tiger in the 150:1 range. Rory McIlroy is the pre-tournament favorite at 10:1, but doesn’t play well enough in this perennial home game and will not win it. He is looking good in early action at the Scottish Open and we’ll be watching to see if the positive momentum he gained from Woz-gate changes his personal and professional performance around major time. Could one of the B.P.T.N.H.W.A.M. contenders take it this year? How do you officially get on this list? Is it fair to keep someone on past the age of 40? I think not, so Steve Stricker comes off at 47. Of the five remaining principals, Henrik Stenson has been the closest and doesn’t appear to psych himself out and warrants considerable support. Sergio Garcia has played well on this course but he doesn’t have the stones with the flat stick to ever win a major. It’s not happening this week for Matt Kuchar, Dustin Johnson, or Jason Day. Actually, Day has some good potential, but I’d like to see him playing more frequently and try less to time his game around the majors. So, when do we put Jordan Spieth on this list? He’s clearly one of the best players in the world even if he still can’t order a beer with his wings at Hooters. I’m a huge Spieth fan and like him for a top 10 but he’s too young for the list and will likely break through at The Masters or U.S. Open. Dark horse look-outs: Jim Furyk is at ease with himself again, is playing well, and contended on this venue in 2006. Every year we see an older player make a move at The Open and this year it’s him. Phil Mickelson has the mind and experience to win this, but different parts of his game go out of sync too frequently and I fear the age of Phil contending in every major is quickly vanishing. This entry was posted in Opinion and tagged Adam Scott, betting, British Open, gambling, Golf, Martin Kaymer, PGA, Rory McIlroy, sports, The Open Championship, Tiger Woods. Bookmark the permalink. So many choices! 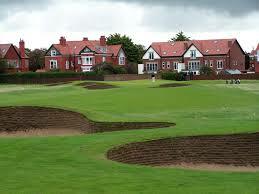 I l picked Rory McIlroy to win the Scottish Open and the British Open. There is a 4 year trend going on and I think he is the guy to do it. I still like Rory. He is too good not go be there. It was only one round at the Scottish Open that messed things up. But I guess that is the difference between the champions and not. Who do you like? Thanks. I have picked him to win two Majors this year! Does a European Major count? How is your game? Jim, we are starting to see a trend with Rory. He destroys fields when the venue is soft and playable, like he did at Congressional. I don’t know if a two-shot win can be considered destroying the field but I didn’t picture him losing this one after that 66 on Friday. Felt like he was in total control. I have rebounded from “the grind”. There is nothing like three rounds with you best friend to right a listing ship! I scored well for three days, but lost our match play. Just writing about it now. I agree that people don’t ask how, just how many. But the avid golfers like us know better! My game is pretty constant except for the two rounds in the tournament. I suppose it’s another year with the duck for you? LOL! Thanks. Wow! Impressive! You know a lot about golfers. I believe I would recognize Tiger Woods and Phil Mickelson if I met them – and I remember the names Rory McIlroy, Steve Stricker, Sergio Garcia, and Jim Furyk – but I’m afraid that’s as deep into professional golf as I get. The only golfers I regularly watch are the ones standing on the green with me. Recently on the 15th green at Kauai Lagoons three guys watched me attempt a 40 foot putt over a mound. The ball rolled up the mound, slowed to a crawl at the top, then broke down the hill exactly where I wanted it to. For the last 15 feet I knew it was going to drop – and got in two fist pumps and a “Yeah” before it clunked into the cup. (Yells, grins, and hi-fives all around – that’s just the way we play) That was a thrill – a thrill I’ve never gotten from television. It’s the reason I believe golf should be played, not watched. However, after reading your post, when my couch potato friends ask me who is going to win the British Open – I will confidently say, “Adam Scott.” Thank you.